A Mojohand™ exclusive product, high quality embroidery, one size fits all mesh back Crossroads Blues hat. Ships Worldwide. Unstructured cap, Navy and white. 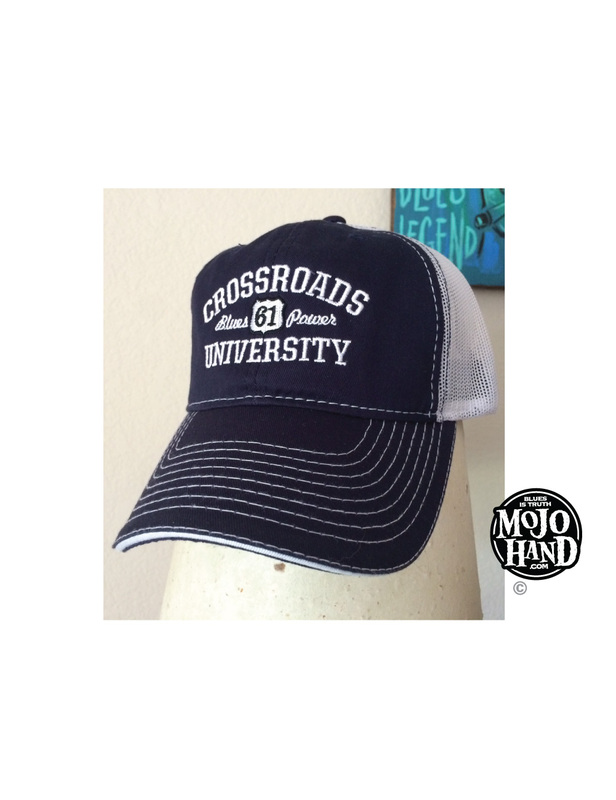 Not sold in stores – show the world you love the blues, with this Crossroads University cap.